Gmail offers excellent features than any other free email services. It is simple, lite weight and easy to use for web users. To access all Google's products, you must have a Gmail account. Some of the popular products are YouTube, Blogger, G-Suite and Google Docs. All these services are connected to a single Gmail account. You can customize receiving emails by creating filters in Gmail. To organize all your emails, create labels in Gmail. If you're regular Gmail user, you might have come across email forwarding feature. This feature is very useful if you want to receive emails to your new email address from the existing address. You can forward Gmail to another person by enabling this feature. The auto-forward email feature allows you to forward all of your emails or specific emails to your other address. By forwarding emails in Gmail, you'll have two copies of emails on both accounts. After setting up email forwarding, you can change the forwarding address at any time. In this guide, you'll learn how to automatically forward emails from one Gmail account to another. Desktop PC to set up email forwarding in Gmail. You can set up email forwarding only on the desktop version. Gmail app doesn't have this feature. 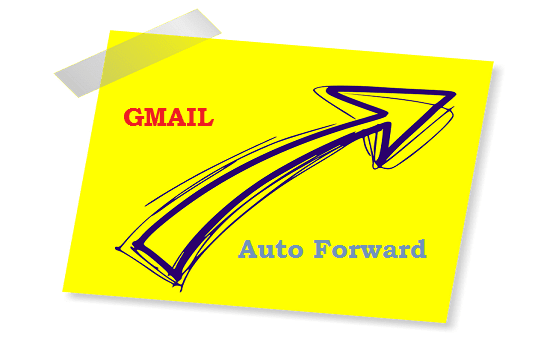 While setting up email forwarding, you've to verify the second email address to active Gmail Auto-forward feature. Go to Settings by clicking the Gear icon. Enter the secondary email address to receive forwarding emails. A new window will open asking you to proceed with the process. Click the Proceed button to send a verification email to your secondary email address. You'll see a notification stating, "A confirmation code has been sent to the entered email address to verify permission". Log in to your second Gmail account. Open the verification email from Gmail Team. Click the verification link to automatically forward emails from primary to the secondary email address. Click Confirm button on the new window. You'll see the below confirmation message in the same window. Then, go back to the primary Gmail account settings. Click the 2nd radio button stating, "Forward a copy of incoming mail to". Next to this, you can see a box with several options to choose from. Tell Gmail what it has to do apart from forwarding when a new email is received in Primary account. You can choose any one command out these following four options given below. 1. Keep Gmail's copy in the inbox - It instructs the Gmail to have a copy of the received email as an unread message. 2. Mark Gmail's copy as read - It tells Gmail to have a copy of forwarded email but mark them as read. 3. Archive Gmail's copy - Gmail will archive the email in the primary account. You can later find the email in the All Mail folder. 4. Delete Gmail's copy - It instructs Gmail to move the received email to the Trash folder after forwarding. The trashed email will be deleted permanently after 30 days. Choosing this option isn't a good idea. In case if you lose the second account, you'll still have the backup in the first account. At last, Scroll down and click the Save Changes button. You're done. All the emails will be forwarded to your secondary email address. Sometimes you'll be annoyed if you receive all emails from one to another account. You can instruct Gmail to forward certain emails by creating a filter. Click Create filter link as shown below. You can tell Gmail which emails should be forwarded to the second account by putting necessary inputs in this filter option. Check out this guide to learn how to create a filter easily. Save the changes once you're done. If you don't want to receive the forwarded emails from your first account, you must deactivate email forwarding. Log in to your primary Gmail account. Go to Settings > Forwarding and POP/IMAP. Click on Disable forwarding radio button. Scroll down and click on Save Changes button. Now, the email forwarding has been deactivated. You can enable this feature any time by clicking the 2nd radio button and save it. Click on the Drop-down button as shown below. Click Remove email address (in use). Then, click OK on the next pop-up box to confirm active forward address removal. The email address will be removed from auto-forward service. You've to follow all the steps from the beginning to set up email forwarding. Test the auto-forward feature before you're going busy. It will help you to ensure that no emails will be missed in the end. I hope this helps. Liked this tutorial? Please share it and subscribe!